Mount McKinley recently had its name restored to Denali, meaning “the Great One” to early native Alaskans. Actually comprised of two peaks, Denali is the tallest mountain in the world from base to summit, its impressive north face rising some 20,000 feet above the broad plain below. Muldrow Glacier, the largest northward-flowing glacier in Alaska, can be seen from several vantage points. Denali National Park and Preserve consists of over 6 million acres of primitive wilderness area, set aside in 1917 to protect the wildlife and majestic habitat of this sub-arctic ecosystem. As visitation increased and the narrow park road became a threat to wildlife and a safety issue, the National Park Service recognized the need for public transportation, so the bus system was established in 1972 to limit road traffic while maximizing opportunities to view wildlife. The entrance area is where you’ll find most of the amenities that the park has to offer: visitor center, Riley Creek campground, the Denali Park Hotel and post office, mercantile, convenience store and showers. The railroad depot and Park Headquarters are also located nearby. The Alaska Railroad offers daily service from Anchorage to Fairbanks, with a stop at Denali between mid-May and mid-September. 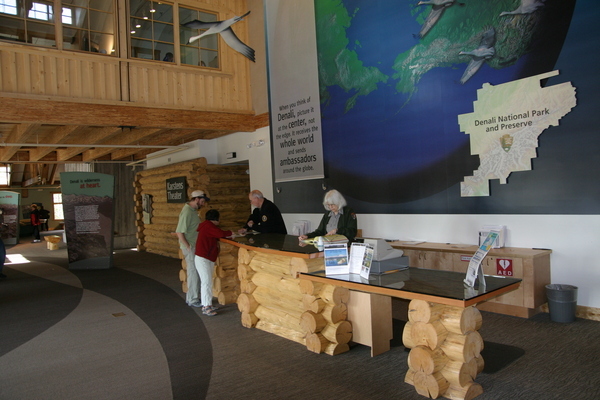 The Visitor Center is open in the summer. Located one mile up the road, it offers information, bookstore and a 12-minute slide program. The Murie Science and Learning Center is open all year to answer questions or help plan trips. Located at Mile 229.5 on the Parks Highway just south of the Park’s road entrance, Denali Air offers chance-of-a-lifetime scenic flights through Denali. In business since 1970 with veteran wilderness pilots, their central location allows for easy access to either side of the Alaska Range, ensuring the best possible viewing opportunities. All seats are window seats on multi-engine aircraft, with individual headsets providing professional narration and pilot commentary during the 40 to 70 minute flights, the longer of which circles all the way around the mountain. Wildlife is prolific in the park. Birds migrate from as far away as Asia, South America, Australia, Hawaii and Antarctica and include more than 150 different species. Caribou, grizzly bears, wolves, brown bear and Dall sheep are some of the larger animals. The Park is open all year but not all entries are accessible in winter. Camping is permitted in established campgrounds only and free backcountry permits must be obtained from park headquarters. If you plan to climb Denali or Mt. Foraker, you are required to register and pay for a permit (currently between $250 and $350 depending on age), 60 days in advance. If a climb has been undertaken by all party members since 1995, 7 days advance is required. Climbers are required to check in at the Talkeetna Ranger Station for an orientation and briefing prior to their expedition departure, on sanitary practices and weather, avalanche and glacier conditions. All other backcountry users should register and attend the orientation. It requires one to two weeks to become well acclimated to a given altitude on Denali. Limit your ascent to 300 meters (1,000 feet) per day at elevations above 3000 meters (10,000 feet). Expeditions should plan on at least 21 days. Summer 2013 marked the 100th anniversary of the first successful summit of Denali. The park partnered with Alaska Geographic to produce the commemorative exhibit “First Ascent of Denali, 1913-2013” at the Eielson Visitor Center and Talkeetna Ranger Station. Fishing is permitted in the Park without licenses. Due to heavy glacial silt deposits however, the fishing isn’t considered as good as it is in other parts of Alaska. Ranger-naturalist talks are conducted on a regular basis by park personnel. Sled dog demonstrations are held at the park kennels daily during the summer. Dog sled excursions are available when there is sufficient snow. Ranger led Discovery Hikes are a great way for the adventurous to explore the heart of Denali. These hikes go everywhere, so expect uneven terrain, small stream crossings, close encounters with dense vegetation and unpredictable weather. Take a look at the recommended gear list—rangers will turn away unprepared hikers. Two Discovery Hikes are offered every day during the summer. These adventures range from moderate (elevation gain less than 1,000 feet) to strenuous. The locations of Discovery Hikes change each day and schedules are posted weekly at the Visitors Center and on the web. 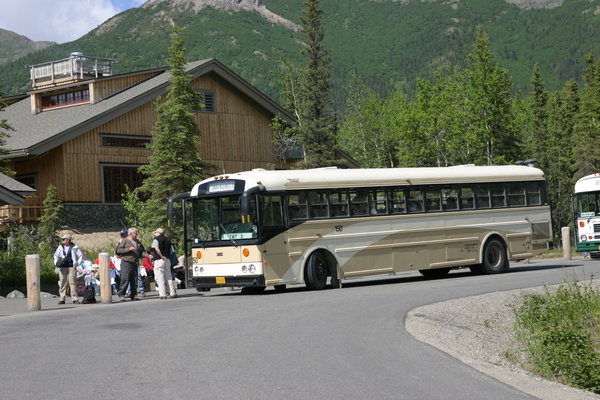 The Discovery Hike bus leaves from the Wilderness Access Center at 8 AM. Plan on hiking for 3-5 hours, and a return bus trip time of 2-8 hours. You may sign up 1-2 days in advance for Discovery Hikes at the Visitors Center and purchase your ticket at the same time. Join a ranger for an easy-to-moderate hike as they interpret anything from early park history to wild edible plants to animal tracking. Walks take place most evenings during the summer and weekly schedules are posted at the Visitor Center. Hikes typically last 1-1/2 hours and begin just before 6:00 PM. 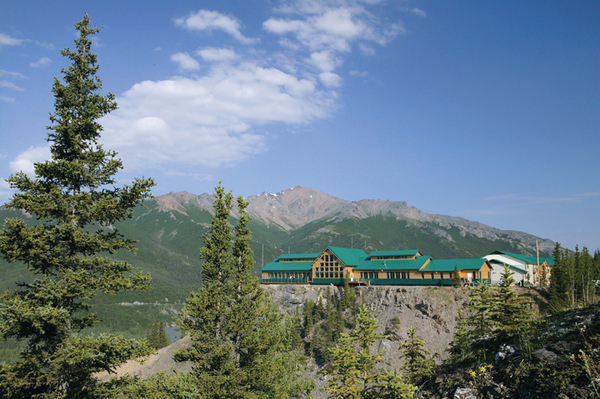 Meet at the back porch of the Denali Park Hotel at 5:50 PM. No charge. Wear comfortable walking shoes and prepare for any weather. The interior of Denali National Park and Preserve is accessed by a 92-mile gravel road. Only the first 15 miles are paved and open to private vehicles, providing an opportunity to visit the Savage River day use area. There are three free courtesy bus routes available in the park’s entrance area to facilitate travel between visitor facilities, campgrounds and day use areas. Visitors may also take tours of varying length deeper into the Park. Some tours require an overnight stay while others are day trips with lunch provided. Be sure to ask about the length of your tour as well as the destination point to be sure you are getting as far into the park as you wish in the time frame you have for your tour. 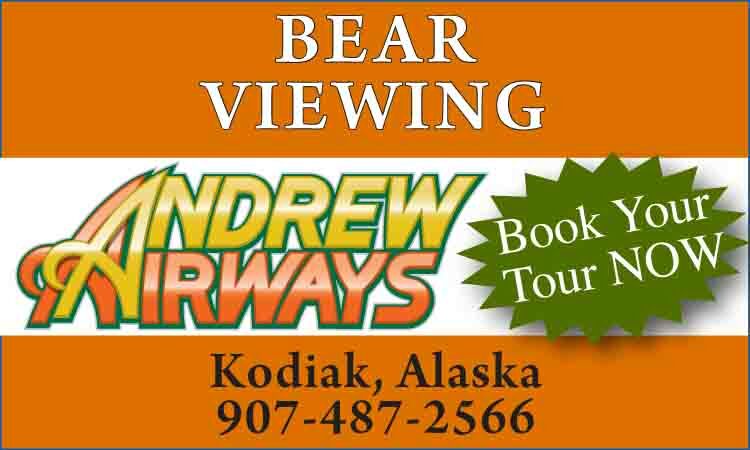 Conveniently located 1/4 mile north of the Park entrance on the Denali Rainbow Village RV Park boardwalk at Mile 238.6 Parks Hwy, Denali ATV Tours can provide visitors with an exciting ride through the boreal forest. 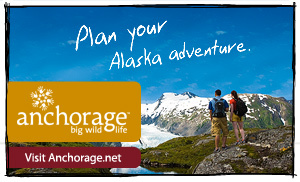 Maneuver quickly through the taiga to picturesque panoramas of the Alaska Range. Observe glacial moraines and historic archeological dig sites while navigating challenging trails, mountain-fed creek beds and tundra, stopping for photography, wildlife and complimentary snacks. Tackle the terrain in a single-rider ATV or share the thrill in a multi-passenger side-by-side ATV. Choose from a variety of tour lengths and locales, or enjoy 100-mile Jeep tours down the Denali Highway. Contact (907) 683-4ATV or 683-JEEP for more information. Also located in the Denali ATV Tours office, Denali Park Zipline is the only zipline adventure near the Park and offers an innovative, absolutely hands-free 3-hour tour above the boreal forest and tundra with 360 degree views of the Alaska Range; call (907) 683-2ZIP for reservations and free shuttle pickup information. At the north end of Rainbow Village RV Park, Denali Raft Adventures provides top-knotch scenic rafting and whitewater memories; (907) 683-2234. In addition to handling campground and tour bus reservations, the National Park Service concessionaire offers shuttle bus service into the park. This system provides access to backcountry units, campgrounds, day hiking areas and interpretive activities. The drivers make stops to view wildlife and are helpful and informative. This is an efficient, workable program that gives you several options for seeing the park. You may simply ride out and back or you may elect to get off at some point along the road, spend some time hiking and return later in the day. When planning your trip, allow plenty of time to catch a returning bus. Fees for shuttle and tour buses vary according to length of trip, and are half price for youths. There are six campgrounds inside the park boundaries. Some are motor home accessible while others are tent camping only. Denali is a true wilderness and visitors need to be prepared with appropriate clothing, food, first aid kit, bear spray and awareness. Cell phone coverage ends three miles into the Park, so be prepared to self-rescue in remote areas. Read the safety information in the park newspaper. Grizzly bears and moose are dangerous. Crossing glacial rivers is treacherous and the potential for hypothermia is always a factor in the sub arctic. Admission to the park is $10 per person if 16 and older; annual passes are $40 and cover 4 adults. Pets are permitted only if they are leashed or physically restrained. They are not permitted on the trails or in the backcountry. For reservations for camping and shuttle transportation, call 800-622-7275. Fly Denali, Inc. provides high quality flight-seeing tours of Denali National Park with glacier landings. Founded in 1993 to support local lodges hauling supplies and guests, the company has grown to four planes and five pilots in 2016. In 1995 the name Fly Denali was adopted and flight-seeing in and around Denali National Park became the emphasis of the company’s mission. A glacier landing permit was obtained in 2001 and flight-seeing of Denali (formerly Mt. McKinley) with glacier landings on the Ruth, Kahlitna, Pika, Eldridge or other glaciers within Park boundaries commenced. Presently, Fly Denali, Inc. is an approved Denali National concessionaire. Founder Jim Trumbull and Jay Wattum are the current owners of the company. Flights depart Healy River Airport and climb over the Taiga Forest of Denali Park’s east end. After overflying the “hotel area” along the Park boundary the plane turns west and is then in airspace above the Park, quickly reaching altitudes where the short shrubs and flowers of alpine tundra are in view, and some days even Dall’s sheep. As the plane reaches the fault line that creates the Alaska Range and Denali itself the pilot turns over the trench and heads to Denali. Soon the plane is flying above glacial moraines, crevasses and granite spires. After making S-turns so each side of the plane has ample opportunity for photos beyond compare, the plane heads to the glacier landing zone. Once stopped on the glacier clients deplane and it’s time for snowballs, snow angels, photos, fresh mountain air and gawking at world class scenery. The half hour on the glacier ends a bit too soon and clients re-board the plane and enjoy new views of mountains, glaciers, streams and terrain as the plane leaves the “ice-age” and flies back to Healy. 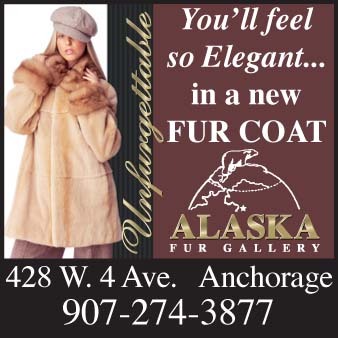 New for 2016: Fly Denali, Inc. is opening an office at Anchorage’s Lake Hood Airport. The company will offer Denali Glacier Landings from Anchorage. What’s special about Fly Denali?